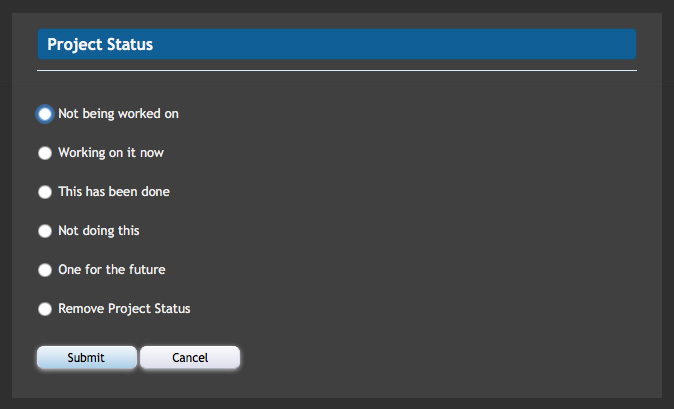 Project Status - Allows indicating the status of your project. Allows indicating the status of your project. 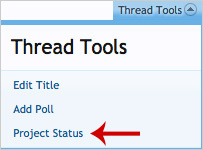 Designed to be used with the regular thread system, viewers can quickly see if the thread suggestion is being worked on or not and what the status of the suggestion is.